Stop Fitness Journey Comparisons: Be Patient! Your fitness journey is your journey and looks completely different than your sister/mother/best friend/neighbor. In my professional life I am in the middle of an executive leadership training. With the help of my mentor, we have decided I need to work on patience. Not just how to have it, but the awareness of when it is necessary. So many times in life we want something and we want it now, but in reality that rarely happens. In contrast, there are times when patience is not necessary; we can work hard to get where we want and quickly get there. 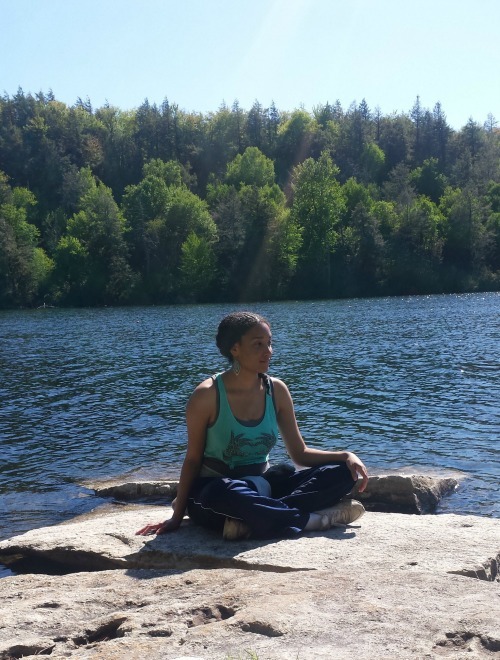 I am sharing this lesson this month because it is relevant to health and fitness: There are times when we need to be patient with ourselves but there are also times when we should push ourselves to get to the next level more quickly. When you start a new fitness program you must have patience; you may have been in the best shape of your life at 20 years old but today is a different journey, a different and new you. It will take a few weeks to build endurance to get back to your higher level, but know that you can get there. Your fitness journey is your journey and looks completely different than your sister/mother/best friend/neighbor. However, when you’re in the middle of your training, push yourself, do that extra push up or hold that plank for an extra five seconds. This would be a place in fitness where no patience is required. Go for it! Fitness isn’t always comfortable, but it is effective. I’ve added a video that shows a few exercises to strengthen your arms and legs. Remember to keep your abs engaged in all exercises (in towards your belly button like you are bracing yourself for a punch). When you do the leg workout, stay low with your knees bent. See how many of each exercise you can complete in twenty seconds; recount every other week and watch your progress! One more quick fitness analogy about goals and patience: In my super-hot and super-awesome yoga class, the instructor had the class doing a very long balance sequence. My leg was burning by the end and my balance looked like I had just taken three shots of tequila. I wasn’t the only person in class struggling during this very hot and very hard sequence. She reminded the class that we needed to focus on something in front of us – not too far in the distance – that was still. Hmm, yes! Was this particular yogi in my executive leadership training call? This is life: Stay focused on a fixed target in your near future that is attainable, but not too far that you lose balance. When your goal seems too difficult and your life is a little wobbly, recommit your gaze to that fixed target. Find your inner strength and keep going. As the instructor also pointed out, if you lose balance and fall a little, readjust. That is OK. That is life. Most people know that adding physical exercise to their daily routine is good for the heart and body, but it is also a mental exercise. When you’re out for a jog, getting down on some Zumba, or listening to the hardest music set you have while completing your bench press set for the day, you are exercising your body AND mind. I hope each and every one of you finds patience and the awareness of when to have it. Stay strong and on your fixed target. Make the new season about your health and personal fitness goals. Exercise your body and your mind. 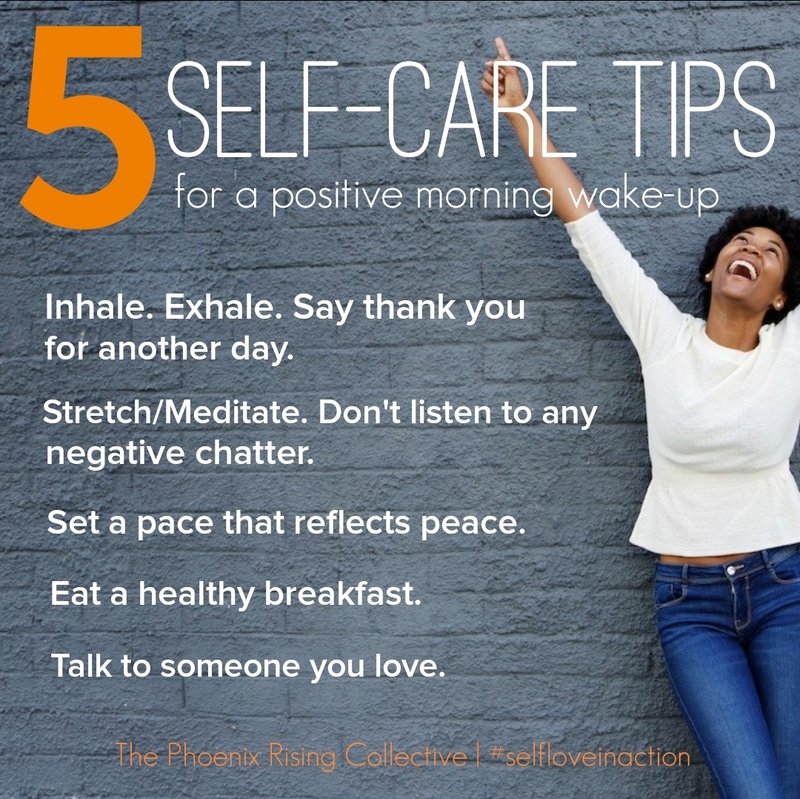 Categories: Self-Care + Personal Growth | Tags: body acceptance, exercise, fitness, fitness comparisons, health and wellness, healthy living, personal growth, radical self-care, self-care, self-esteem, self-love, women and fitness, women and wellness | Permalink. 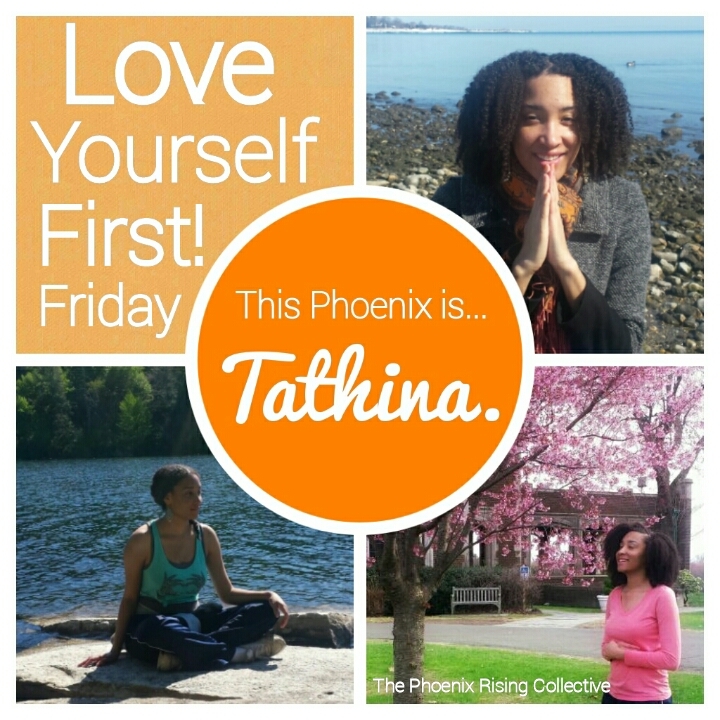 Hey, Phoenixes! 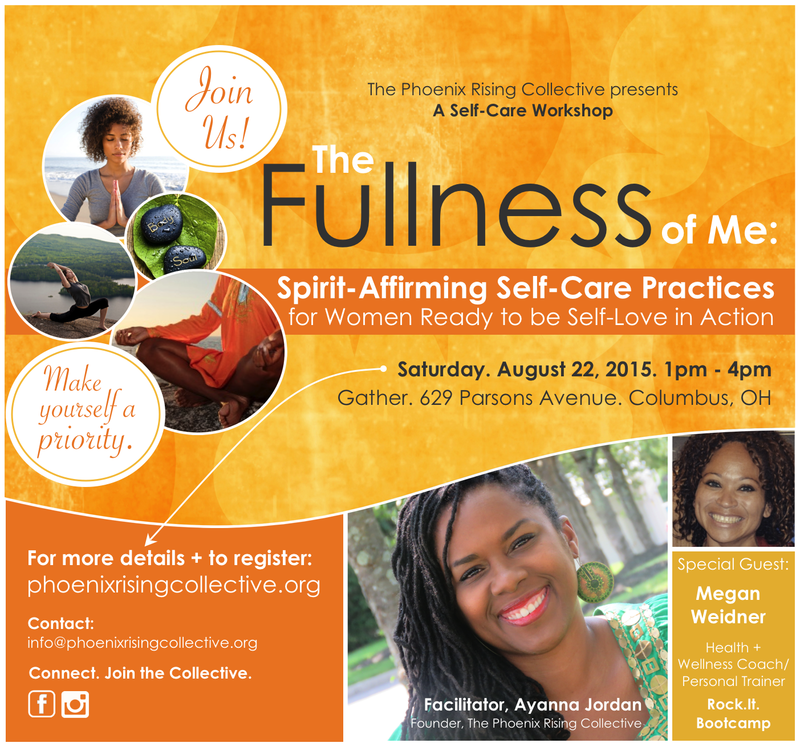 If you’re in Columbus, OH or surrounding areas join us Saturday, August 22, 2015, 1pm – 4pm at Gather. 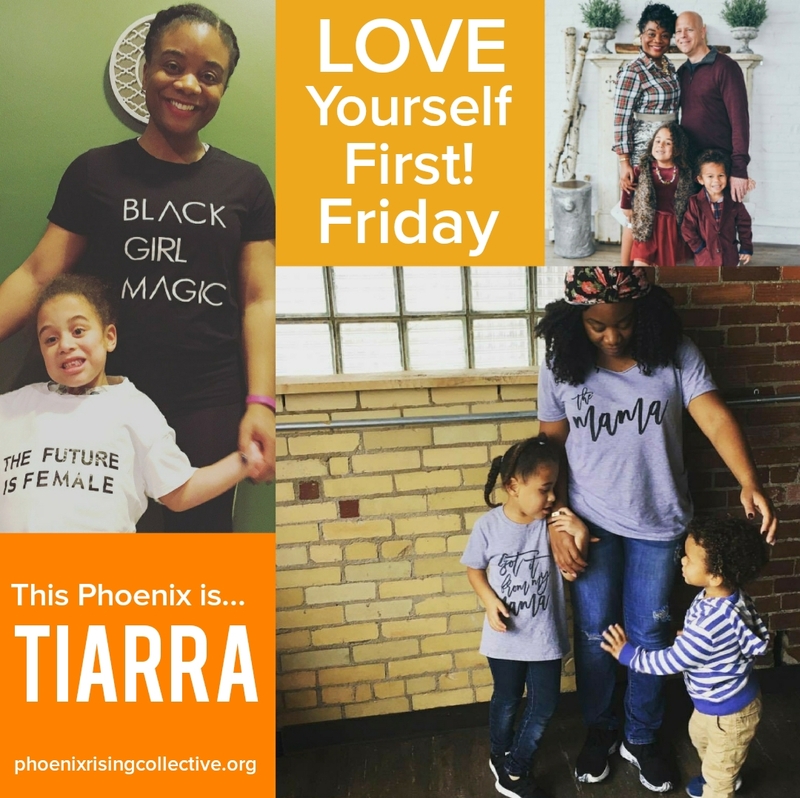 Before the busyness of the fall season begins, we are retreating in a sacred space with fellow Phoenixes who have also made a commitment to practicing healthy self-care regimens. This is your chance to connect with yourself and create authentic connections with others. Get more details HERE, and register now! Make yourself a priority. And by all means, invite a friend! 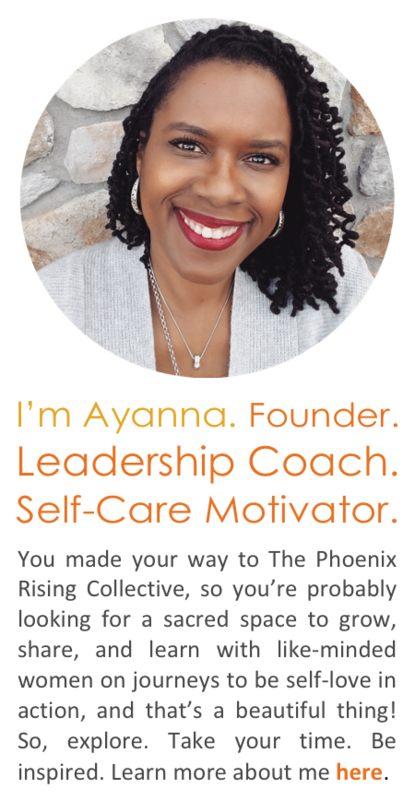 Categories: Self-Care + Personal Growth | Tags: health and wellness, holistic health practices, intentional living, mindfulness, personal growth, radical self-care, self-care workshops, self-love, spiritual growth, the phoenix rising collective, women and wellness, women's retreat | Permalink.